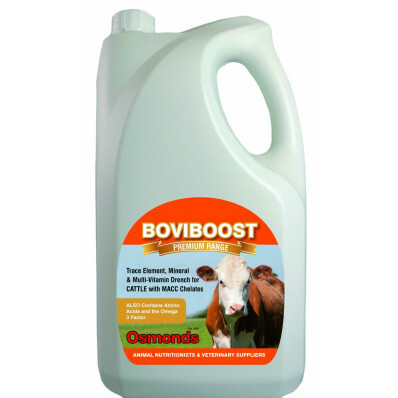 A high quality, premium range drench for cattle. 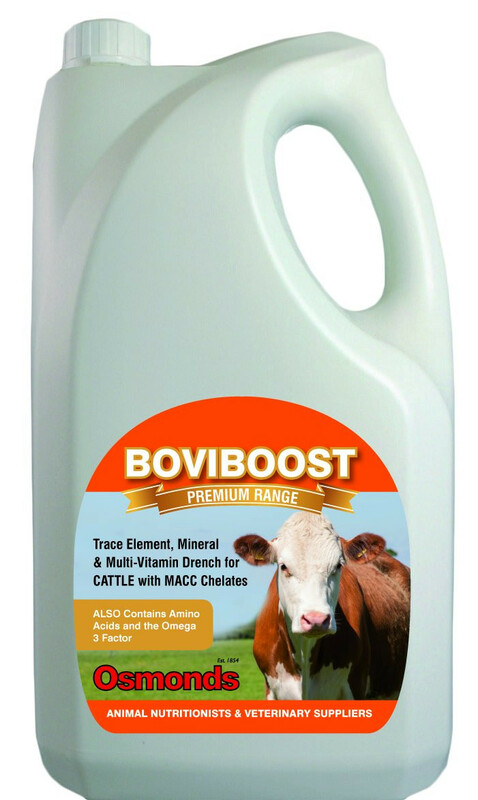 Part of our Premium Range of drenches, Boviboost is a premium quality oral trace element and multivitamin supplement for cattle with the Omega 3 factor and Organic Chelates. Use at regular intervals to help ensure the animal has consistant levels of vitamins and trace elements, thus promoting optimum health ad wellbeing, leading to increased performance. Formulated on an emulsified base to provide a fast and efficient route for administration and absorption. Highly palatable and easily accepted.